Toronto, Sept. 8, 2016/Kinex Media/ – Winning a ‘Clutch‘ Award is no less than winning any other prestigious award. Based in Washington D.C., The Clutch Group is an independent research firm that follows strict guidelines and proprietary framework before announcing winners in certain categories. 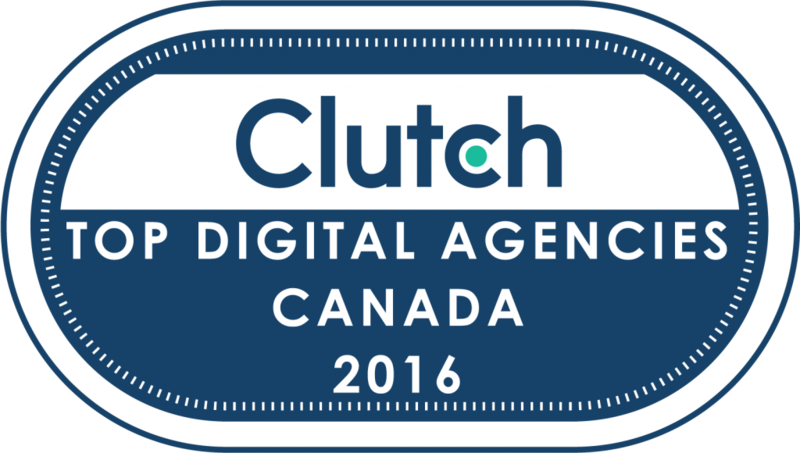 From conducting personal interviews with company’s clients to critically analyzing company’s work, Clutch prepares the data and lists the most deserved winners every year. The company exemplifies the hard work of companies that work ahead of the time and sense what is going to come on interactive screens. Combining unbridled imagination with technology and data isn’t easy. However, Kinex Media does it on daily basis. 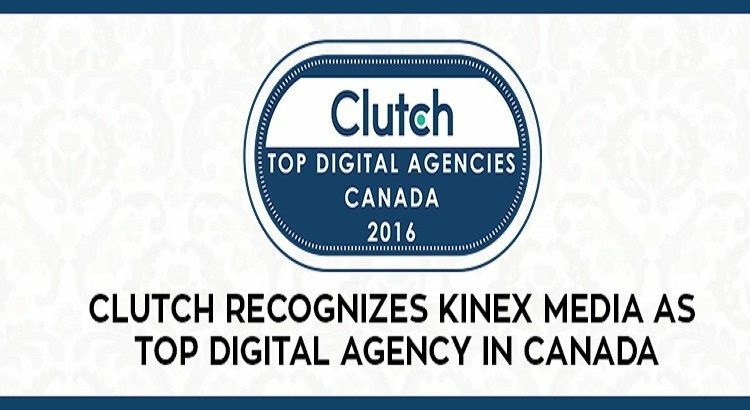 Recently, Clutch.co honored Kinex Media with one of the best Digital Agencies in the Canada. The complexity of developing a customer-centric website, doing breakthrough designing and running successful marketing campaigns aren’t easy tasks to perform. A strongly coded website offers unforgettable user experience and carefully constructs the coding pattern, which smoothes the overall journey of the visitors. The design captures the attention and conveys the message in the visual form that further helps the marketing department to create content and connect with the customers on an emotional level. Kinex Media’s founders believe that the success comes to those who prioritize customer’s satisfaction and work in the direction to achieve the goal. Team Kinex believes in creating a perfect amalgam of coding, designing and marketing to achieve success milestones for their clients’ projects. “Kinex Media had a great understanding of their industry. They had great technical ability and any items we wanted addressed they saw to it they were completed in a timely manner. Very pleasant and professional and always happy to address any changes. Thank you for a great job” – YM INC.